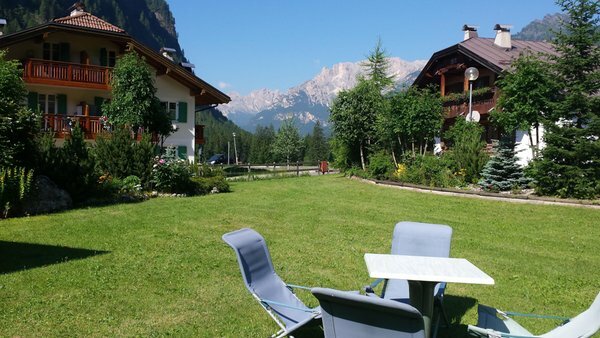 The Hotel Irma, a family run business is in a quiet area and with a breathtaking view. 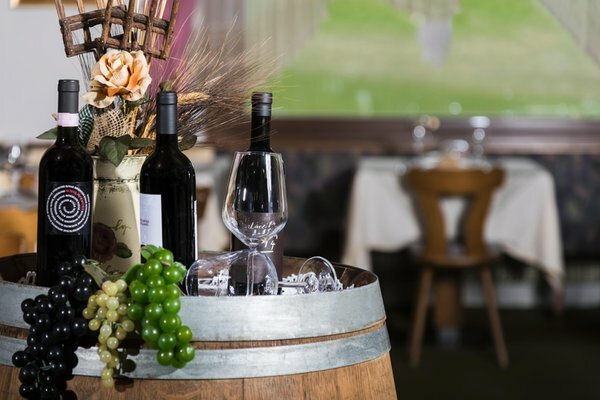 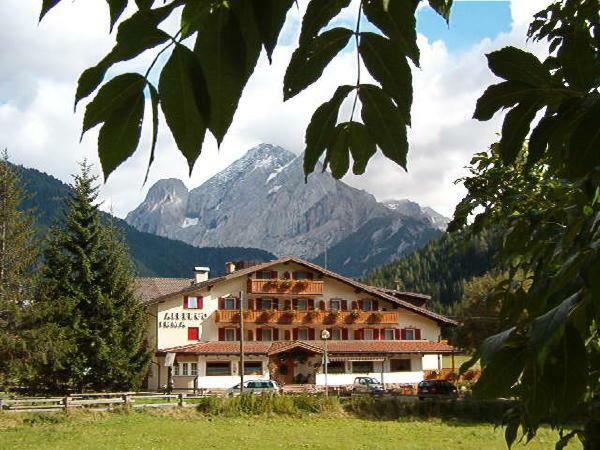 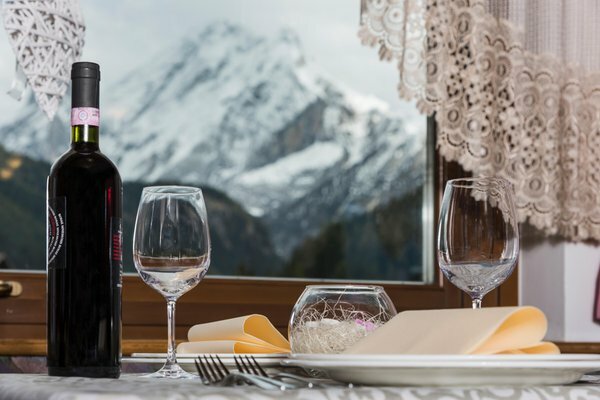 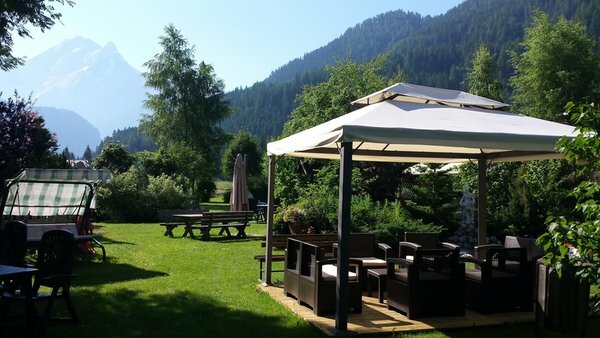 The Hotel is situated in the beautiful surroundings of the Val di Fassa, Trentino Alto Adige, one of the most famous destinations in the Dolomites. 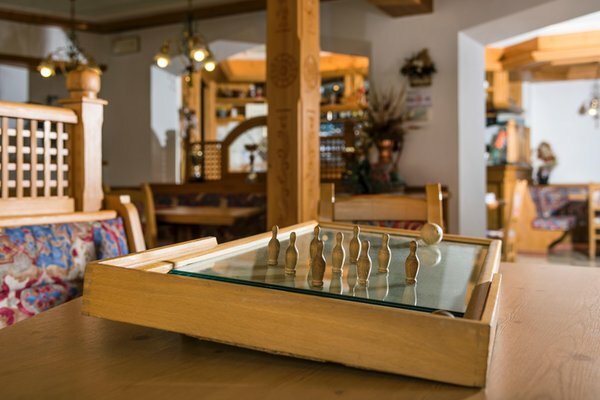 Here you will find a friendly and pleasant atmosphere and your stay will be unforgettable both in winter and in summer. 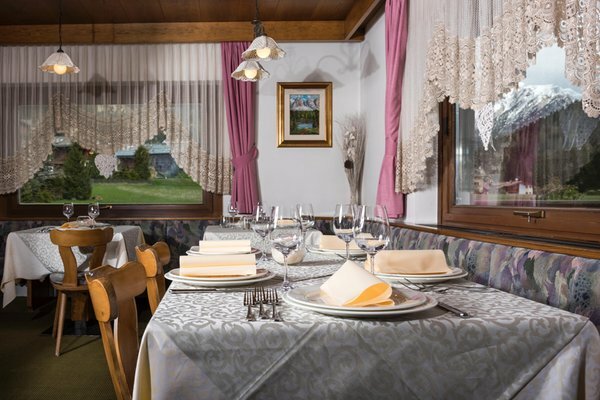 The cuisine will surprise you every day with its specialities and its wonderful dishes. 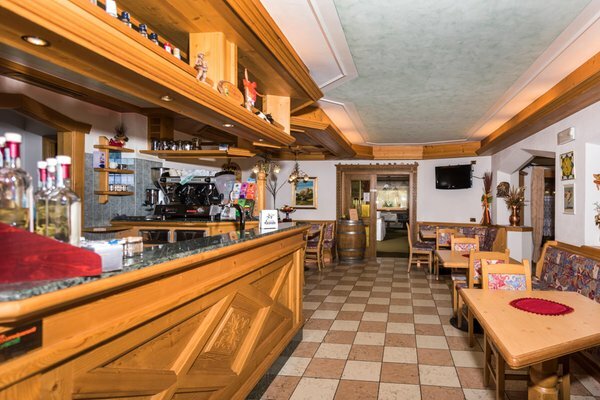 The hotel is only 900m far away from the ski lift area and in the winter season you can use the shuttle-service to arrive there, while for the way back a free public shuttle, which stops at a distance of 50 meters away from the hotel, is available. 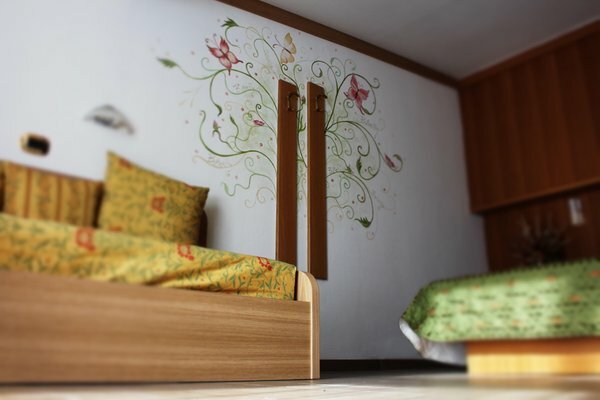 Double room with balcony with panoramic view, safe, wifi, telephone, bathroom with shower and hair dryer and wi-fi. 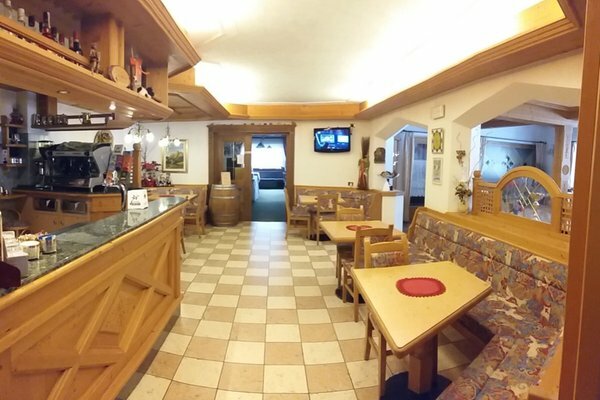 Triple/Quadruple room with balcony and panoramic view, WiFi connection, safe, telephone, bathroom with shower and hairdryer. 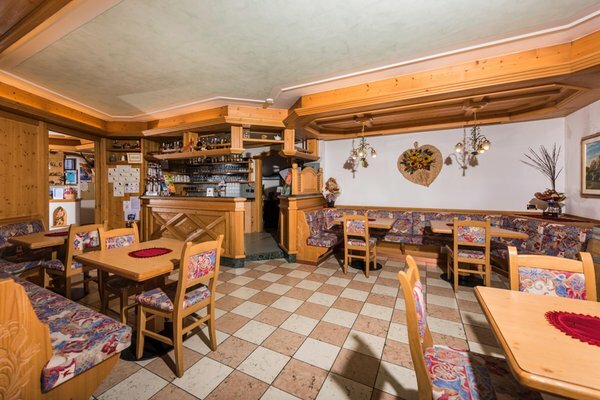 Einzelzimmer with balcony and panoramic view. 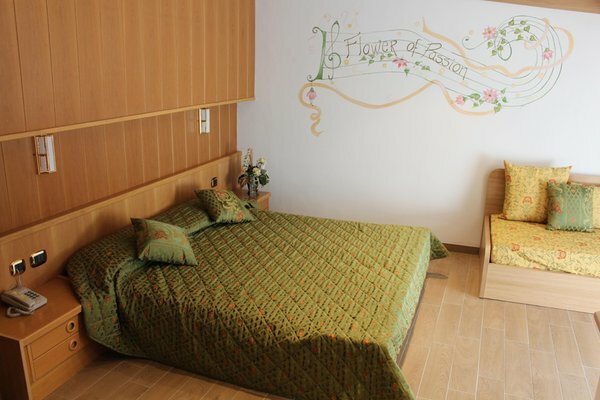 Renewed, spacious and welcoming room, it comes with bathroom (accessible also for disabled) and a balcony with view on the garden. 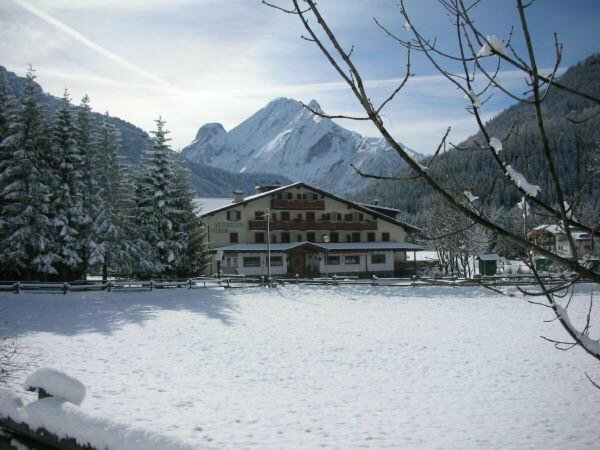 Information about the location: at 1460m amsl, 50m from the bus stop, slopes are easily reachable on foot (800m), cross-country ski trails within walking distance (100m). 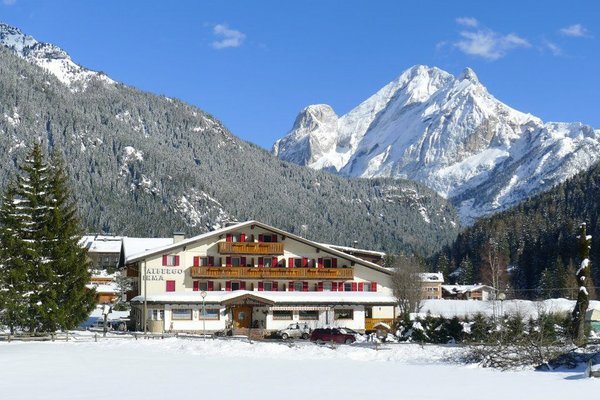 Are you interested in Hotel Irma?